Paul meets Chip Dutch (private photo). 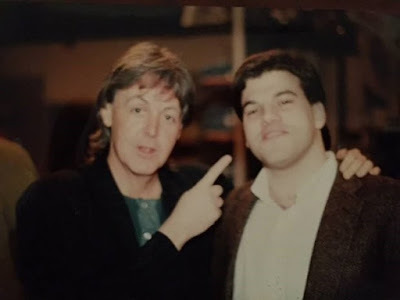 Anyway, head on over to syracuse.com and read how the cast of Saturday Night Live reacted to Paul's first live appearance there - and how our guy managed to witness it all first hand. 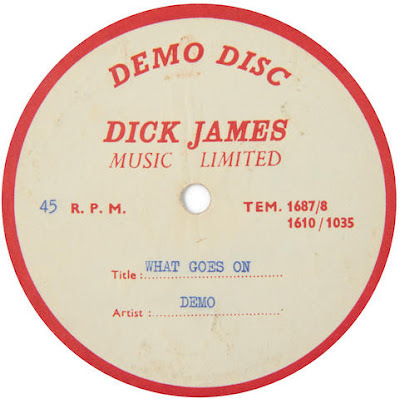 The label of "What Goes On" demo disc. 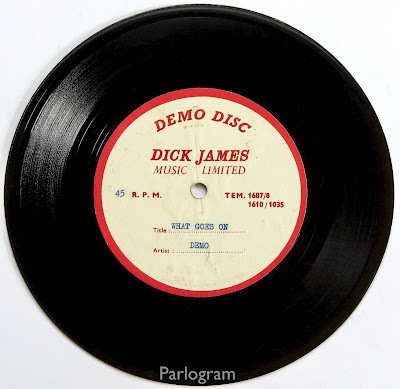 On Thursday 21 September 2017, Parlogram will be auctioning this acetate on Ebay. 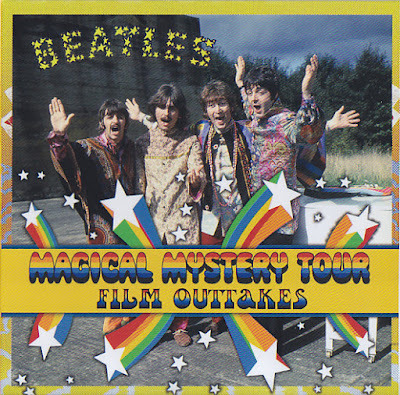 The disc contains the unreleased and unheard 1963 home demo of one of John Lennon’s earliest compositions, "What Goes On". 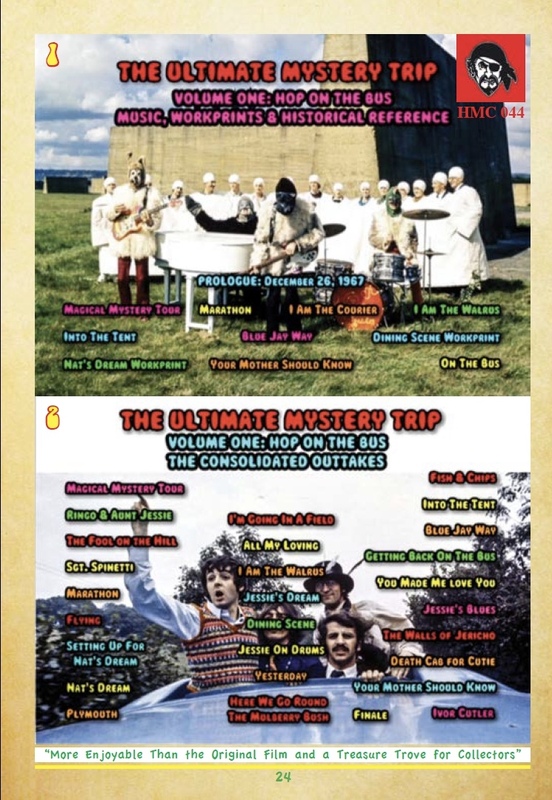 An exclusive excerpt of John singing the song’s original lyrics, different to those on the 1965 released version on "Rubber Soul", will be made available on the auction listing. The auction will end on October 1st 2017. 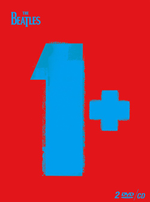 Parlogram announced the upcoming auction on their Facebook page. 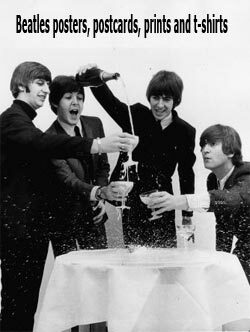 This track was due to be recorded on 5th March 1963 but the group ran out of time. 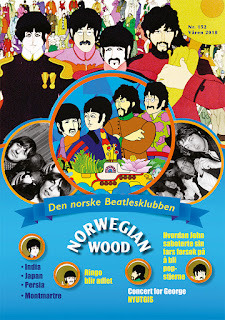 They revisited the track during a recording session on 4th November 1965, when they were just a month away from the release of the next album, "Rubber Soul", and had only completed half of the tracks for it. The acetate is a demo with vocals (by John) and guitars only. It was previously auctioned off by Bonham's in December 2012, and fetched £6,250 back then. The record was one of many items given by George Harrison to his brother, Harry, and other members of his family. There was no sonic sample available at the Bonham's auction, so this will be the first time we will be able to hear a little bit of the demo. 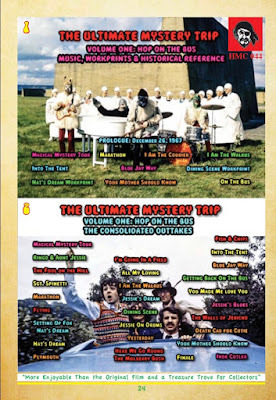 The 50th anniversary for The Beatles TV-movie, "Magical Mystery Tour" is fast approaching. 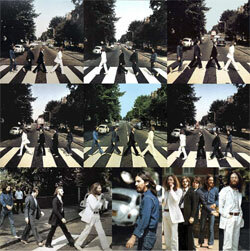 With no official word, it looks like The Beatles and Apple are going to bypass this anniversary. A couple of notorious bootleggers are coming to the rescue, as both HMS and Misterclaudel have been touting their hommages to the film. 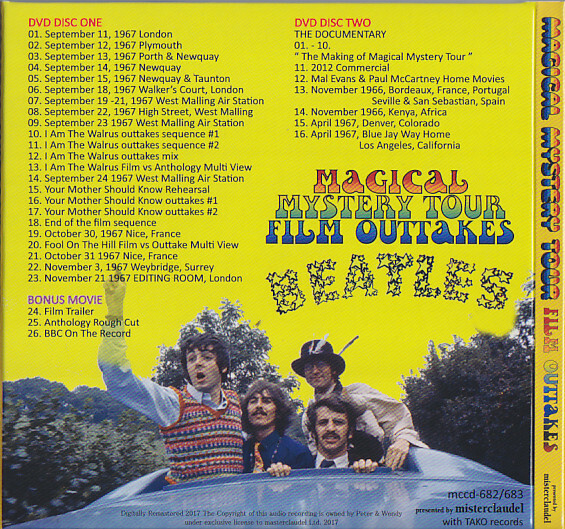 HMC promises 40 minutes of hitherto unseen outtakes on DVD 1 and a fan made edit of the film on DVD 2. Misterclaudel, on the other hand, will be releasing the 2012 BBC documentary, plus some of Paul and Mal Evans' home movies. Also some of the material which was used to promote the film when it was reissued for DVD and Blu-ray in 2012, but which didn't make it to disc back then. Disc One: Outtakes & Discs Two: The Documentary. You may read a bit more (auto-translated from Japanese) about the Misterclaudel release on this site. Back of the Misterclaudel release.